For those looking for an adrenaline filled thrill, who have a strong desire for adventure, and a love for nature, Jubel’s Active Nature style is your fit. You thrive on the edge of a cliff, on a surf break, or exploring the darkness at the end of the tunnel. The only thing you fear is not feeling alive. We have compiled a list of some of the most epic adventures around the world that will push you to your limits and draw you out of your comfort zone, while still keeping you coming back for more. Easily categorized as ‘epic,’ this downhill mountain biking trail is not for the faint of heart. This scenic ride will take you from the top of a snow capped Andean mountain at 15,400 feet (4,700 meters), down nearly 12,000 feet (over 3,600 meters) into the hot Amazonian rainforest with gravity doing most of the work. Although it’s categorized as the most dangerous road in the world, not just in South America, bikers won’t have to worry about battling semi-trucks, vans, and cars for their share of the road. In recent years, motor traffic has begun to use an alternate road, making the original route safer for bikers (but not any less thrilling). Anyone from daring beginners to experts can enjoy this death-defying, cliffside trail. 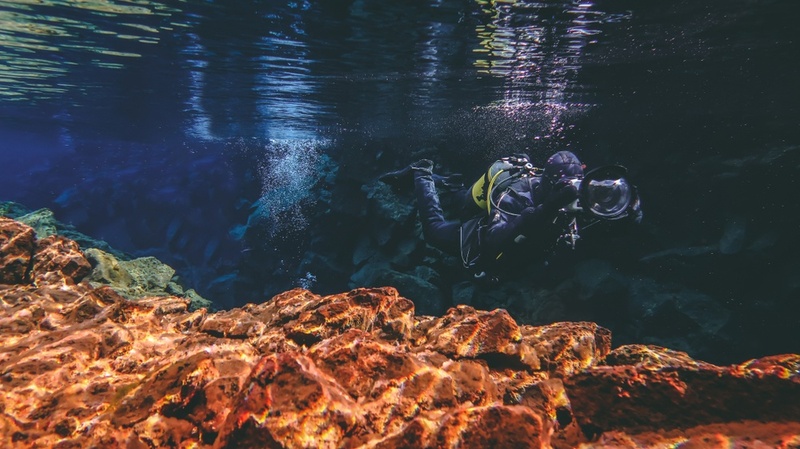 Snorkeling in the Silfra Rift, between the North American and Eurasian tectonic plates is not only a unique adventure, but one of the most beautiful as well. The crystal clear water of Thingvallavatn Lake, just outside of Reykjavik, flows into a fissure of bright blue water with visibility easily reaching over 330 feet (about 100 meters). Jump into the near-freezing water and swim around - you will quickly realize why this is one of the most amazing snorkeling spots in the world. The otherworldly scenery of the underwater bliss will bring you closer to nature giving you a new-found appreciation for the incredible world we live in. The thrill of swimming between two tectonic plates can only be found here. A once small fishing village is now a hidden windsurfing/kitesurfing hotspot for beginners and experts alike. Whether you have been kitesurfing your whole life or want to learn, this is the spot for you. With one of the best kiteboarding schools in the world, expert teachers will get you catching waves and flying through the air in no time - all you need is the courage to get out there and try. Just south of La Paz, La Ventana is a quiet town with stunningly beautiful scenery, making it perfect for the adventurer looking for a laid back, yet exciting trip with some of the most consistent winds in the world. 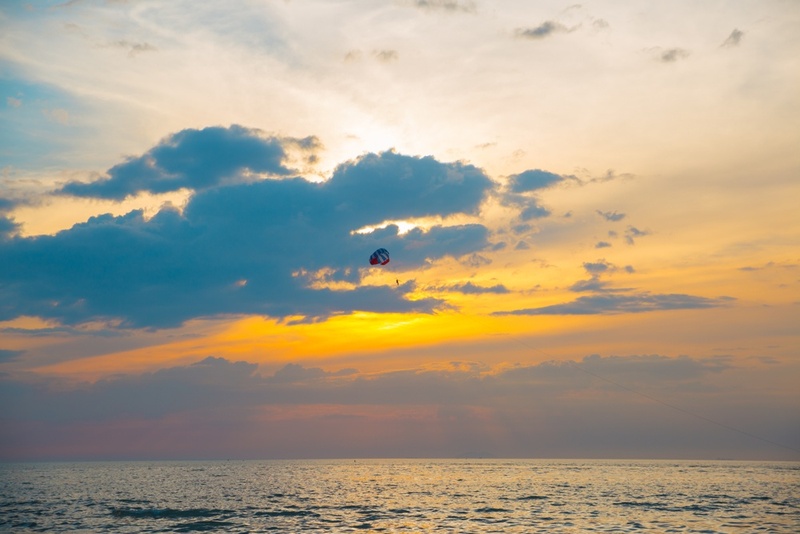 Whether you are an experienced skydiver or looking to make the leap for the first time, Pattaya is arguably the most beautiful destination to embark on a once in a lifetime skydiving adventure. Skydiving, by far one of the most thrilling activities on the active nature lover’s bucket list, paired with the stunning natural landscape of Pattaya in Southeast Asia, makes this the ideal destination to push you to your absolute limit. Whitewater rafting down the longest commercialized rapids in North America is a thrill-seeker’s paradise. Descending over 100 miles through some of the most topographically diverse landscapes, from dense high alpine forests to barren desert landscapes, a trip down the Chilko River in eastern Canada is an unforgettable adventure. Mother Nature will push you out of your comfort zone, and from blind corner to blind corner you will experience the thrill of a fast-paced river, dramatic scenery, and world-class rapids. This 43 mile (about 70 km), five day trek is the expedition of a lifetime. Ausangate is the epitome of an active nature adventure, ascending and descending two peaks over 16,000 feet (4850 meters) and encountering native wildlife and diverse geography. This trek tops the list of many trekkers around the world. If you’re looking for a challenge, this trek will do just that. 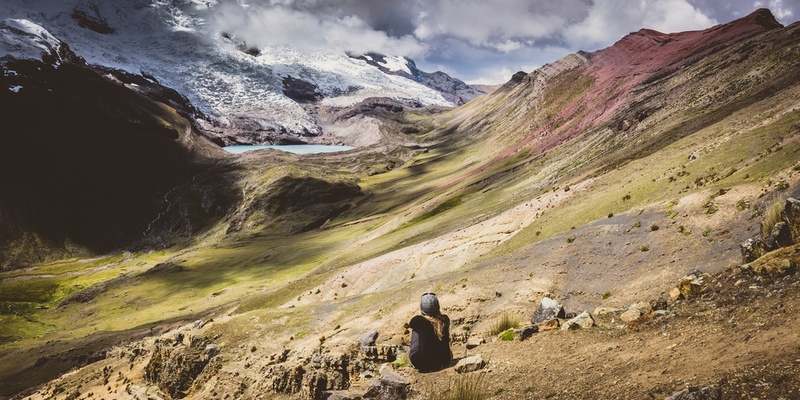 Ausangate requires complete self-sufficiency as there are no established lodges, but with that comes fewer crowds and more opportunities to test personal limits and explore remote areas of Peru in peace and quiet. Blissfully soaring through the skies, experience a birds-eye-view of the adventure capital of the world on your next outdoor paragliding thrill in Queenstown. Nothing compares to the freedom and exhilaration of flying through the sky overlooking one of the world’s most stunning cities, alongside a beautiful ocean and mountainous landscape. Whether it’s your appreciation for nature and desire to observe the extraordinary world we live in from the sky, or your strong desire for a thrill, there is no better place than New Zealand for an active naturist. There is nothing more riveting than trekking in search of one of the world’s most elusive big cats. Snow leopard safaris offer an up close experience in the Himalayas with the added excitement of wildlife encounters with stunning animals. Few people have actually embarked on this once in a lifetime expedition, but those that have will never forget it. 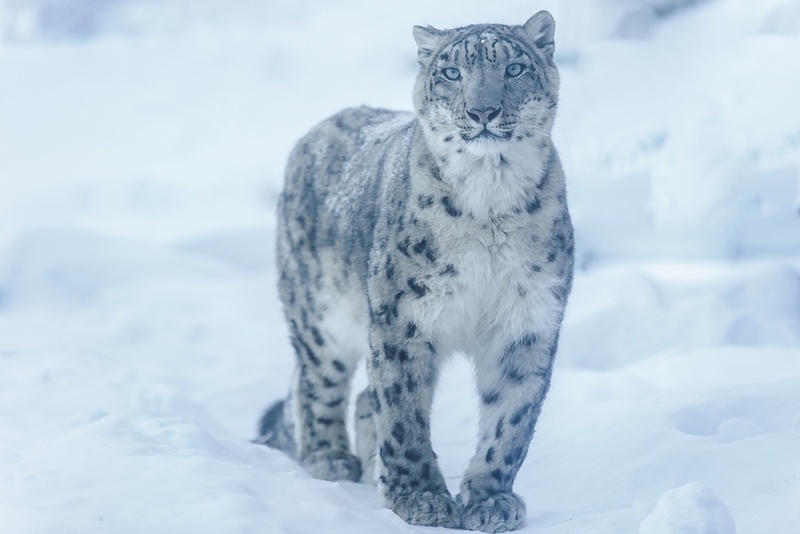 It’s one thing to see a snow leopard in a zoo, but it’s a whole different experience to track, trek, and spot them in their natural habitat. It’s rugged, rough, and tiring, but for the adventurous active naturist, it’s the perfect opportunity to do something daring and unique. Kayaking around the Valdes Peninsula in Patagonia offers two adventures in one. 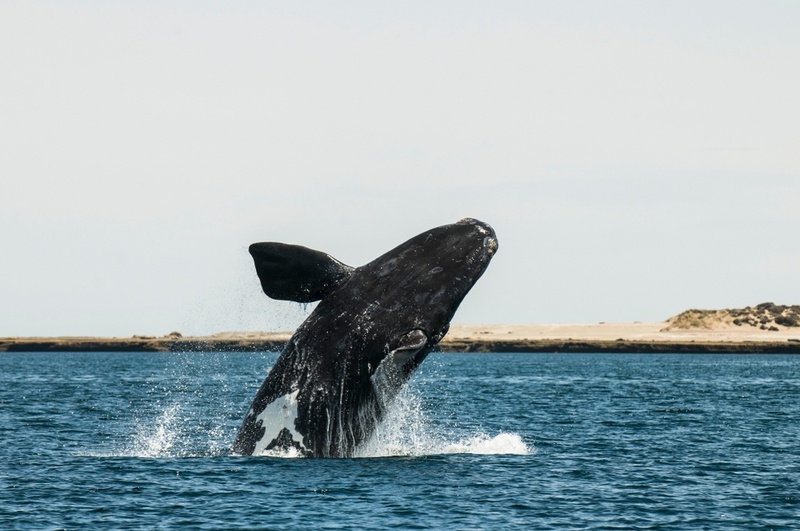 Not only is the thrill of kayaking in the open ocean in one of the most remote areas of the world a rush, but doing it between June and December will also give you an up close and personal look at whales in migration. Whether you want to do a simple day trip or a five day expedition, the Valdes Peninsula Nature Reserve is nothing short of spectacular, and will bring out the active nature seeker in anyone.